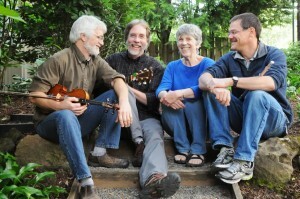 Joyride is a Portland Oregon contra dance band known for fun, skilled play, tune sets carefully tailored to dances, and well-phrased melodies and harmonies set in a danceable groove. George Penk’s rich, compelling fiddle, Erik Weberg’s deft flute, harmonica and bombarde, Sue Songer’s heartbeat piano and Jeff Kerssen-Griep’s vital guitar and percussion provide modern and traditional tunes for dances, weekends and festivals throughout the year. 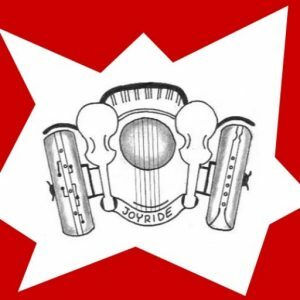 Joyride hosts excellent callers and dancers at their popular monthly First Wednesday contra dance party in Portland, held September through June. This band loves creating a great experience for everyone, every time. Come catch a lift with Joyride at home or on the road!